tagged Bialy's Bagels, Cleveland Bagel Co. The medium-brown glow of the crust, the outer sheen, the chewy inside, lox and schmear – everybody knows a great bagel when they see (or taste) it. Bagels are deeply entrenched in Jewish culture – the word “bagel” is said to come from the Yiddish word for “ring.” Over the last several decades, the hand-sized rolls with holes, which have origins in Poland and were brought to the U.S. – New York City, in particular – by immigrant Jews, have gained wide appeal and become an all-American treat. Here in Cleveland, we’re fortunate to have both a rich history and an emerging market of local bagel makers, from the well-established Bialy’s Bagels to newcomer Cleveland Bagel Co.
Bialy’s Bagels owner Mark Osolin stands behind his finished products, while other bagels rest in various stages of production, from baking in the oven to cooling on the pan. Bialy’s Bagels opened for business in 1966 in University Heights. Terry Skolnick, a Jewish bagel maker in New York City, had moved to Cleveland and wanted to start a new bagel business. 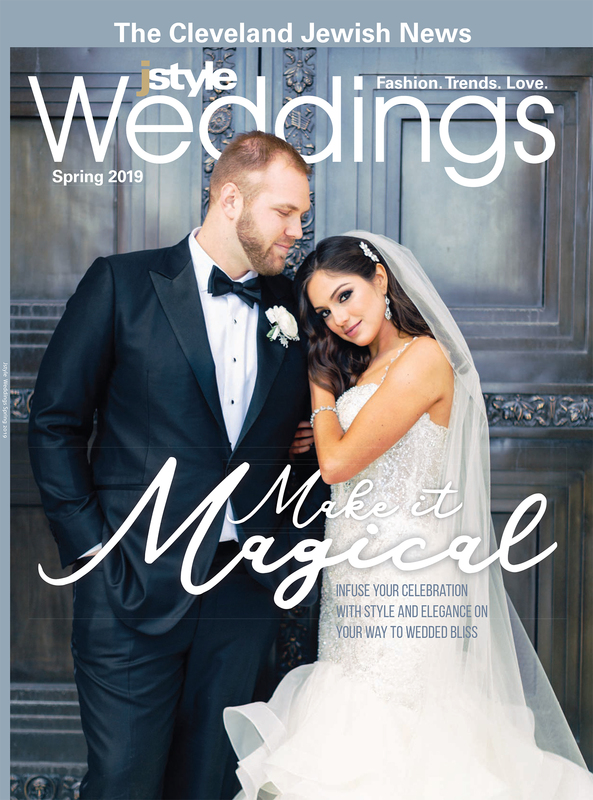 “When he came to Cleveland, he looked in the phone book for Schwartz, which he knew was a Jewish name, called someone up and asked them where the biggest Jewish population was in the city. The man told him at that time it was University Heights, so he came here, found a place and opened the store,” says Mark Osolin, Skolnick’s son-in-law. 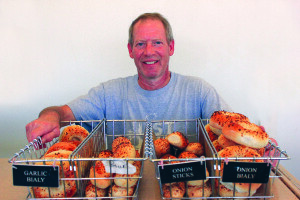 Osolin now runs Bialy’s Bagels with his wife, Ellen, after Skolnick retired and moved to Florida about 15 years ago. The bagels sold at Bialy’s are first boiled in water for a minute or two, which softens the bagels and gives the yeast time to rise, resulting in a hard, shiny outer coat. The bagels are baked in the oven on a rotating board for about 15 minutes, resulting in a soft, chewy inside. Osolin says the store’s most popular flavor is mish mash, which incorporates sesame seeds, onion, garlic, salt and poppy seed. Plain and sesame are close runners-up. Osolin says a lot of customers who grew up eating bagels from Bialy’s have since moved away, but they still stop by the store to purchase some whenever they’re in town. While Bialy’s Bagels has been serving up bagels on the East Side for decades, Cleveland Bagel Co. is beginning to make its mark on downtown Cleveland and from Ohio City to Rocky River on the West Side. Dan Herbst of Cleveland Bagel Co. presents a variety of his bagels, including plain, everything, sea salt, sesame seed and poppy seed. Pour Cleveland in downtown’s 5th Street Arcades is one of several locations throughout the region where people can find Cleveland Bagel Co. bagels. After being let go from his warehouse job, Dan Herbst started tossing around the idea of starting up a bagel company with his friend and business partner Geoff Hardman. Herbst quickly started researching the history of bagels and amassing as much knowledge as he could about the process of making bagels. The first Cleveland Bagel Co. bagels debuted last summer at local farmers’ markets. 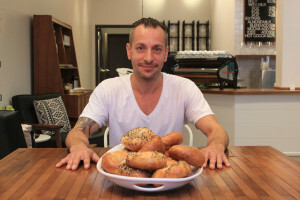 Herbst says his bagels are a mix between New York City bagels and Montreal bagels. Herbst describes his bagels as “rustic looking.” The bagels are formed into circles and chilled in a refrigerator for about 24 hours. Once it’s time to bake, the bagels are boiled in a malt water solution before being baked on racks instead of a giant bread oven. 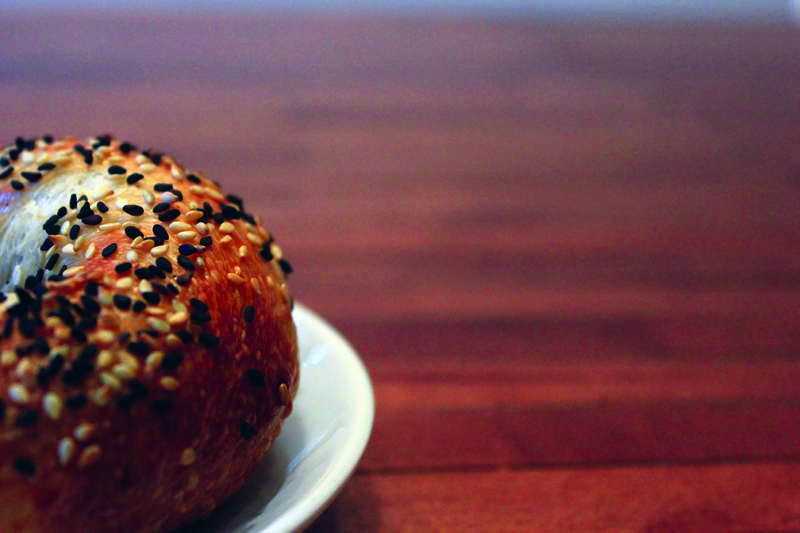 Cleveland Bagel Co. currently offers plain, poppy seed, sea salt, garlic and sesame varieties. Herbst hopes to experiment with wheat and pumpernickel flavors this fall. The bagels are made out of Ohio City Pasta’s kitchen, and Herbst hand-delivers the bagels to businesses such as Rising Star Coffee Roasters, Market Garden Brewery and The Flying Fig in Ohio City, Erie Island Coffee Co. in Rocky River, and Pour Cleveland, which is in downtown Cleveland’s 5th Street Arcades. The company recently added Juma Gallery in Shaker Heights to its locations, and Herbst says Cleveland Bagel Co. will extend its East Side reach once Rising Star Coffee Roasters opens its new location in Cleveland’s Little Italy neighborhood. Herbst contends that besides Bialy’s Bagels, Clevelanders haven’t really been exposed to “real” bagels before. He’s excited to be part of that change.